According to recent data from Orbitz, a long proponent of LGBTQ+ travel and the first online travel company to launch a microsite dedicated to gay and lesbian travel more than a decade ago, hotel searches for Pride weekends have already increased by more than double digits when compared to 2018, along with a significant increase in flight searches and Pride package considerations. In fact, when asked directly in an online survey, 79 percent of LGBTQ travelers plan to attend this year's Pride events with a group. 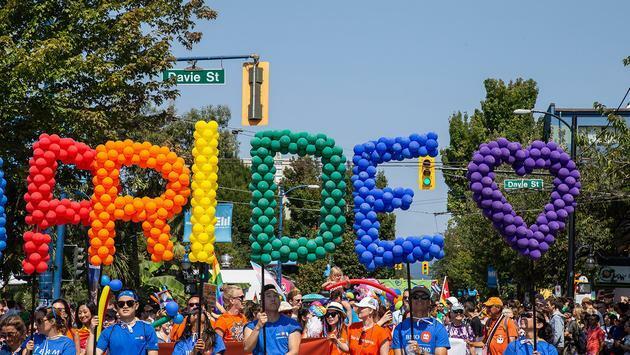 Hotels (57 percent) and car shares (54 percent) are the travel accommodations most likely to be booked for Pride celebrations in 2019. "More travelers than ever before will be celebrating love and equality in some of the most gay-friendly cities across the country this year," said Carey Malloy, Director of Brand Marketing for Orbitz Brand. "With this being a milestone year for Pride, our message to travelers is now is the time to plan your trip while accommodations are in high demand." From east to west, LGBTQ travelers have visited a range of gay-friendly cities throughout the United States, with San Francisco (13 percent), New York (11 percent) and Chicago (10 percent) ranking as the top three destinations based on a recent survey by Orbitz. Nearly half of respondents confirmed they plan to travel between five and 50 miles for a Pride event in 2019, and 42 percent plan to travel more than 50 miles. Three in four (74 percent) of LGBTQ travelers also said that knowing whether a destination is Pride-friendly impacts their decision on where to travel. "My summers in Provincetown are always the highlight of my year, so naturally I love that P-Town is ranked as the number one Pride-friendly place to travel!" said Miss Richfield 1981, a well-known drag personality for Orbitz. "It is such a joy to see Pride celebrations spreading throughout the United States and internationally; I encourage my fans and queer community to get out and plan a weekend getaway to celebrate Pride with friends, loved ones and fellow LGBTQ travelers." Known as a true LGBT icon, it is no surprise that Ellen DeGeneres topped the list of celebrities that travelers would most like to attend Pride with (31 percent), followed by Lady Gaga (24 percent) and the cast of Netflix's Queer Eye and the Obamas tied for third (both 15 percent). When asked who they would like to see as Grand Marshall of this year's Pride Parade, Ellen DeGeneres, Ru Paul, Barack Obama and Janelle Monáe were the top picks from nearly half of respondents (47 percent). A shocking 80 percent of LGBTQ travelers said they would sacrifice their cell phone and break the "pics or it didn't happen" rule of Instagram during Pride celebrations in exchange for free parade tickets, meals and hotel accommodations for the weekend. Additionally, while one-in-three travelers (30 percent) say they are looking to spend less than $100 on Pride travel and accommodations, 67 percent of Orbitz's respondents claim experience is the most important consideration when traveling for Pride. In addition to being one of the top 10 destinations to celebrate Pride based on Orbitz data and recent search demand, Miami Beach is known as an award-winning LGBTQ destination and rightfully kicks off Pride season from April 1-7, 2019. To continue its strong support of LGBTQ+ travel, Orbitz is sending a small delegation from Alaska to the upcoming Miami Beach Pride Week and Parade. The group of four Anchorage Pride members will travel 5,000 miles together, trading the Alaska snow for sand, to embrace Miami's city-wide Pride festivities and gay-friendly accommodations first-hand. Orbitz is sponsoring the Anchorage Pride group to reward and recognize them for the positive impact they have had on their local LGBTQ community, while also connecting with people who share their same passion and Pride, despite the vastly different destinations. To further spotlight the 2019 Pride celebration, Orbitz will be changing its logo to the rainbow "O" for the month of June. LGBTQ travelers and supporters are encouraged to follow Orbitz on Instagram (@Orbitz) to check out photos, videos and live moments from the Anchorage Pride group's first-time experience at Miami Beach Pride. To book your hotel and LGBTQ-friendly travel accommodations for 2019 Pride, visit www.Orbitz.com today.